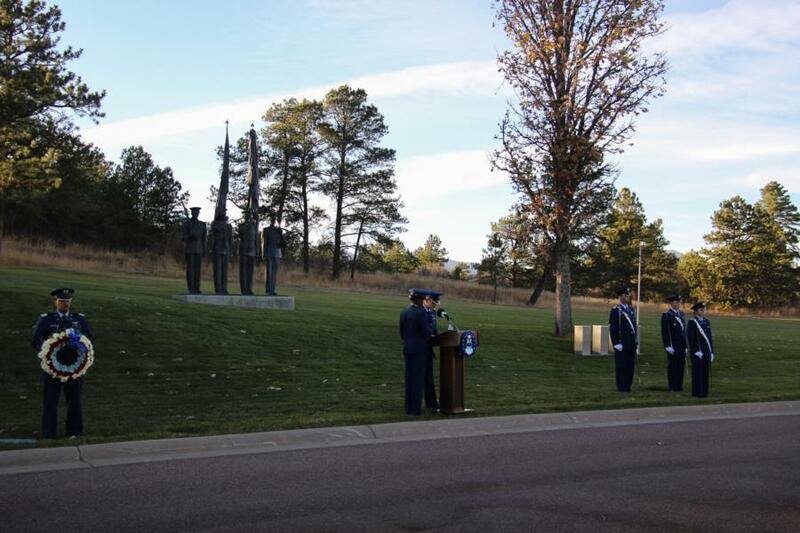 This past Friday the Cadet Wing participated in the Heritage March on Veteran's Day. The march begins on the Terazzo and the Cadet Wing makes their way down Parade Loop road to the Cemetery. 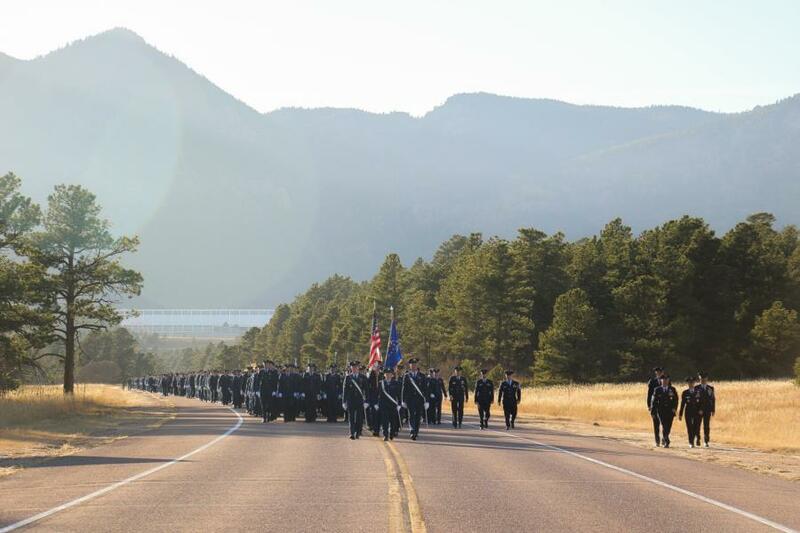 The two mile march is in honor of Heritage Weekend, which recognizes Academy history and the Airmen who paved the way. The Heritage March began back in 2014 with Commandant General Williams asking the Cadet Wing Director of Operations C1C Boyle to organize an event for Heritage Weekend. C1C Boyle and other leaders in the cadet wing came together to plan and the march was organized. 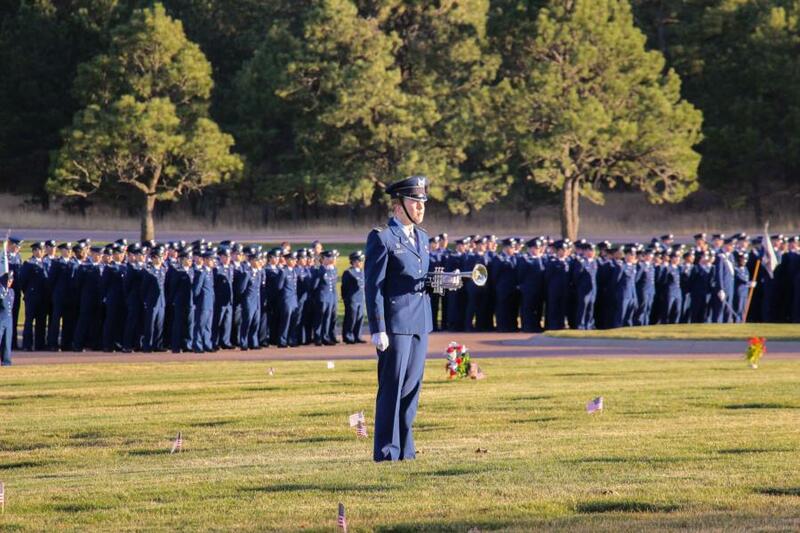 The march not only included participation from the whole Cadet Wing but also incorporated key moments of Academy history, and culminated with cadets laying heritage emblems on Academy graves. "It reminds us that veterans came before us and veterans will come after us. 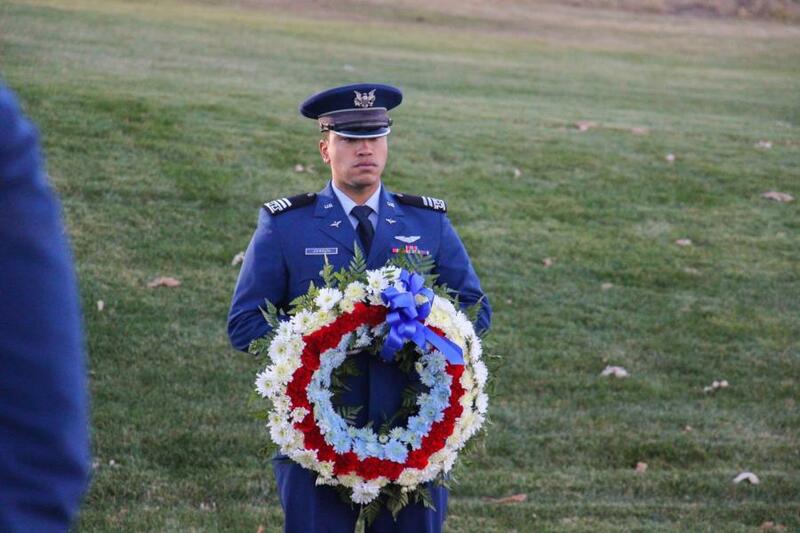 It gives us perspective on their sacrifices and reminds us why we want to serve our country." 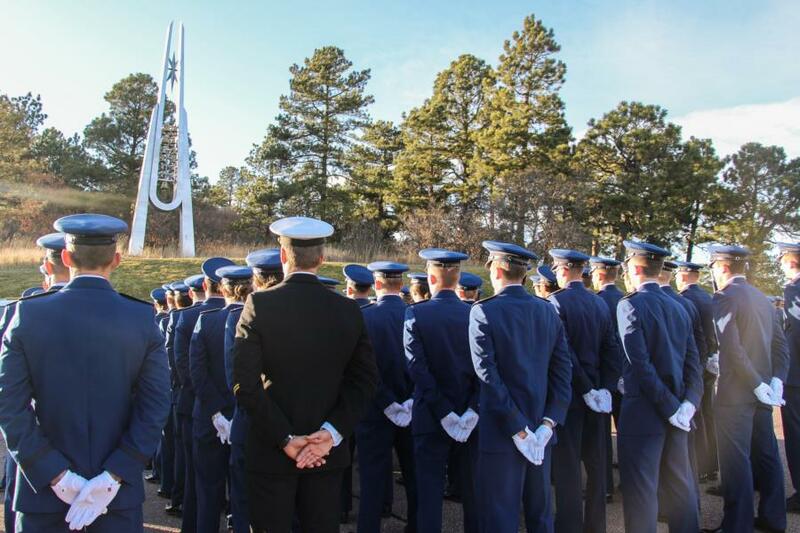 Once the Cadet Wing completes their march to the cemetery there is a Retreat Ceremony that the Cadet Wing and Perm Party take part in to honor those before them. To view the rest of the pictures from the Heritage March go to, Galleries - Military Training - Cadet Wing Military Training. Or click the link below.